A perfect tour for those who wish to discover all the wonders of the Lofoten Islands and relax in a typical Ice Bar where, warmed by reindeer skins, you can sip a local drink on the house. We leave Leknes and set off eastwards. Our destination is Lofoten, on one of the most beautiful, tourist routes in Norway. On route we'll have a chance to admire the picturesque natural wonders which make this place famous the world over: steep mountain peaks, spectacular ocean views, and small fishing villages with their typical huts and green farmland. The sea currents around these islands are the reason behind the important fishing industry of the Lofoten Islands and their rich cultural traditions. On our arrival in*Svolvær, the main town on the Lofoten Islands, we are confronted with the imposing *peak of Vaagekallen**. The next stop on our tour is at the Ice Bar and Ice Gallery where, before we go inside, we'll be wrapped in a warm coat. Then we can sip a delicious drink on the house. 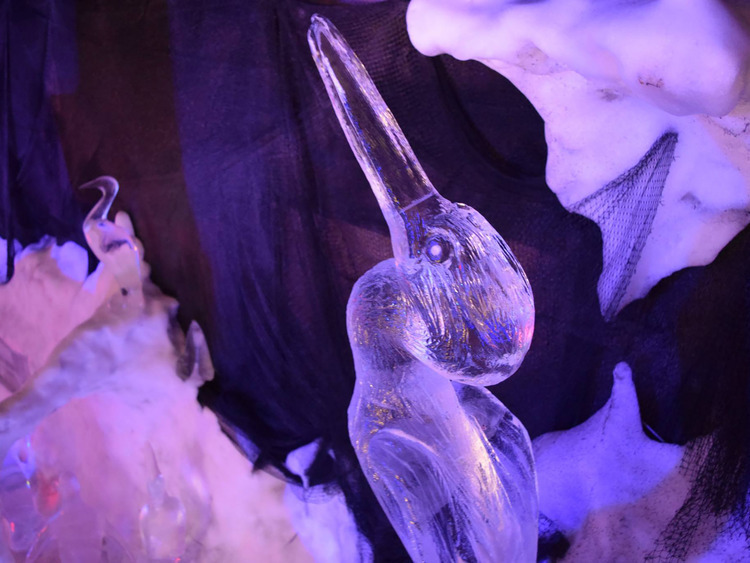 The incredible ice sculptures accompanied by music from artists all over the world are enchanting. On our return journey to Leknes we cross Valberg, the southern part of the island of Vestvågøy.